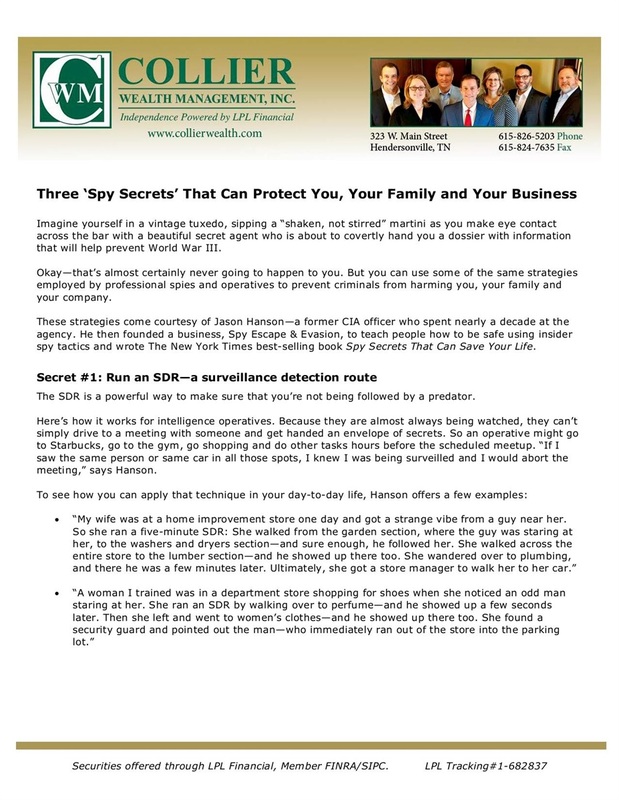 Three Spy Secrets | Collier Wealth Management, Inc. This month’s report reveals three ‘spy secrets’ that can help you and your loved ones stay safe and sound. 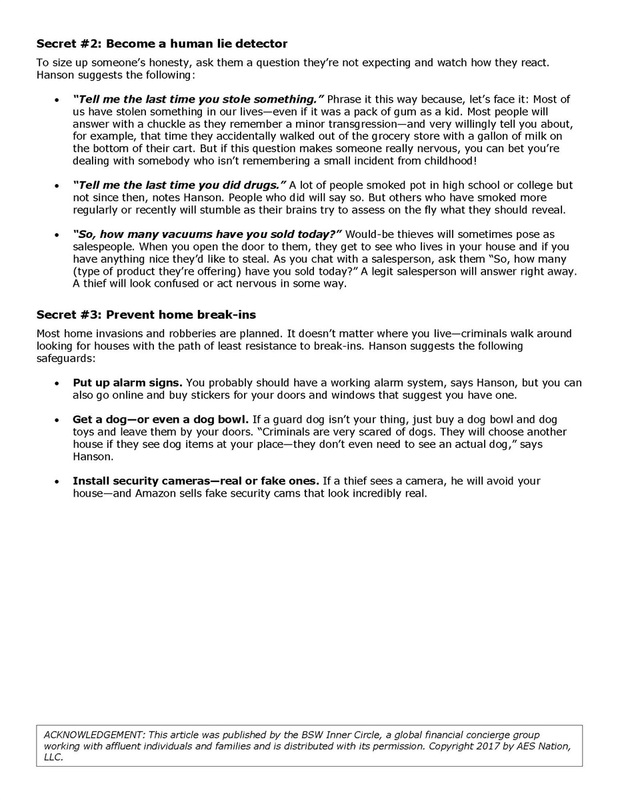 Request your copy of "Three Spy Secrets"